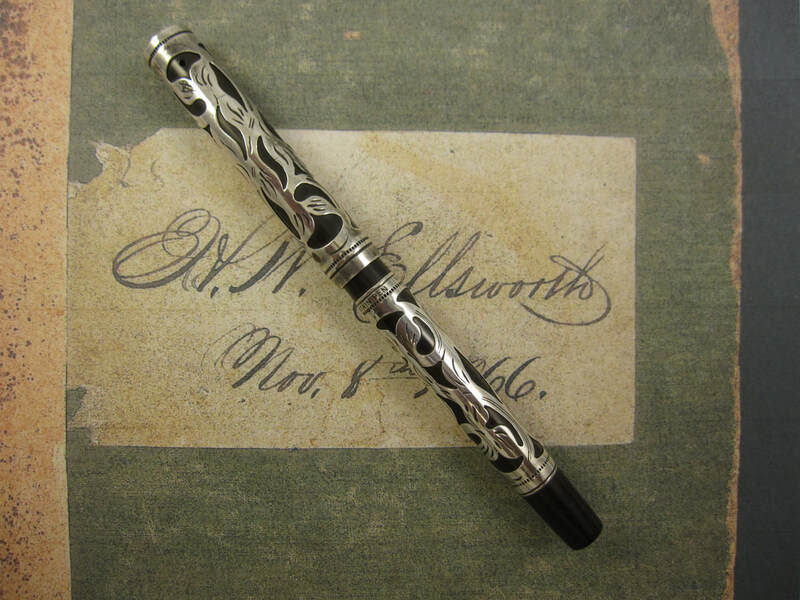 COMMENTS: Waterman 412 eyedropper pen in black hard rubber with a sterling silver filigree overlay. Slip-on and clipless cap, from the factory. Section screws onto the barrel. Slim profile pen body. 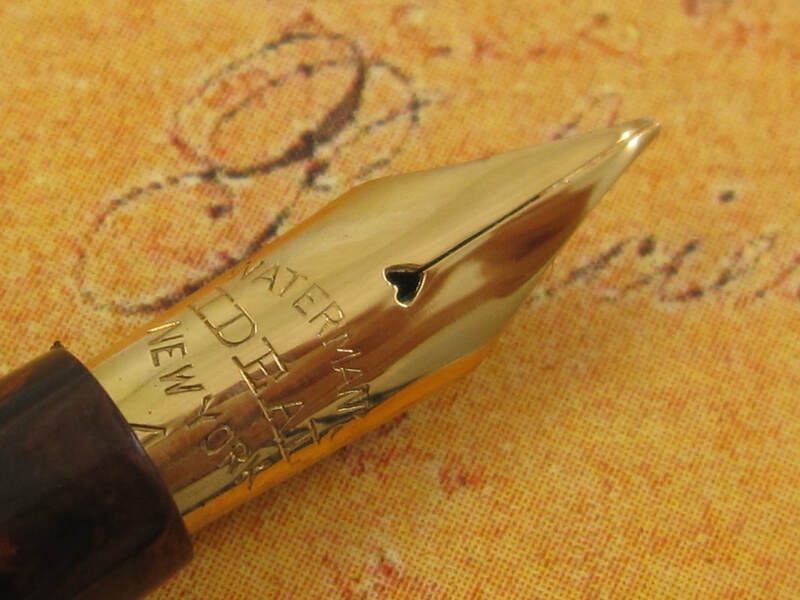 Fitted with a factory original 14k Waterman Ideal New York #2 wet noodle BB stub nib. Professionally adjusted nib, ultra smooth and capable of writing at any speed when not flexed. When not flexed, nib produced a double broad line in the down strokes and an extra fine line in the horizontal strokes. 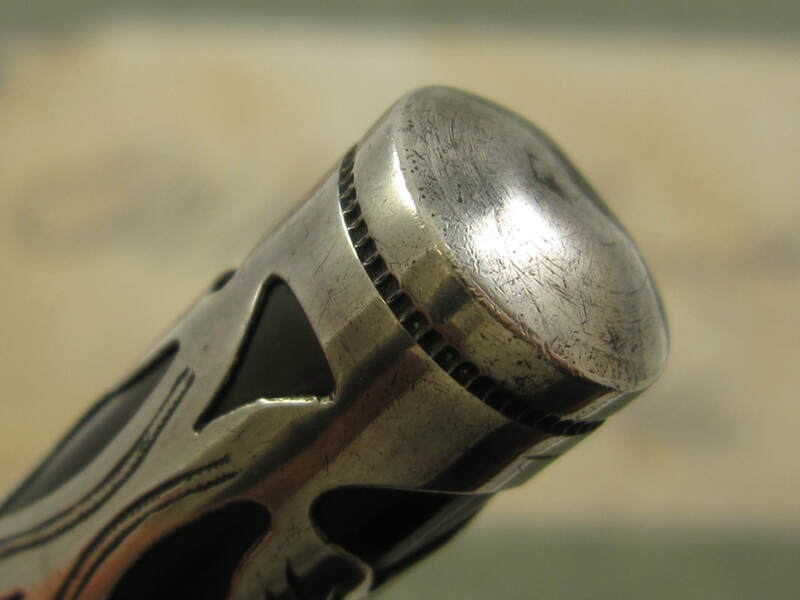 When flexed, this nib produces a BBB/BBBB line in the down strokes and an extra fine line in the horizontal strokes. The filigree overlay has some scratches and patina. 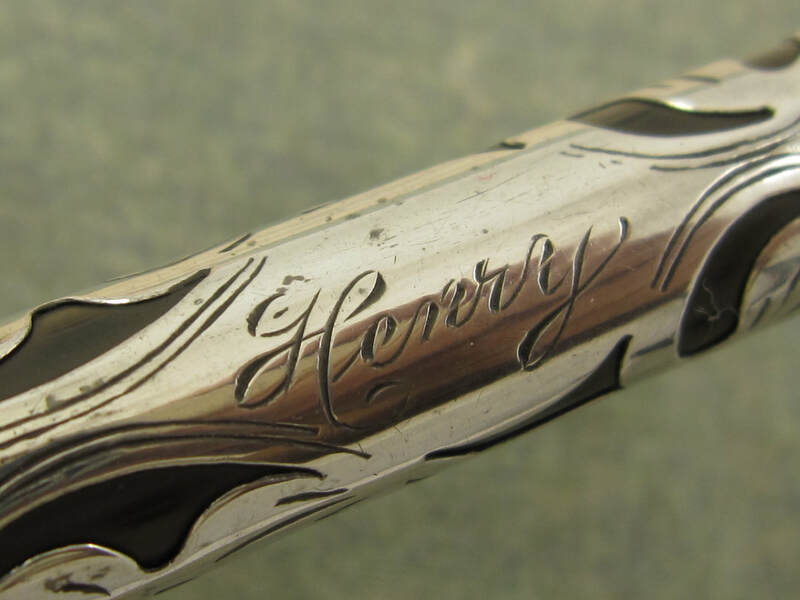 The name "Henry" has been professionally engraved in wonderfully beautiful vintage flex writing script on the indicia of the pen. The nib is in near mint condition. 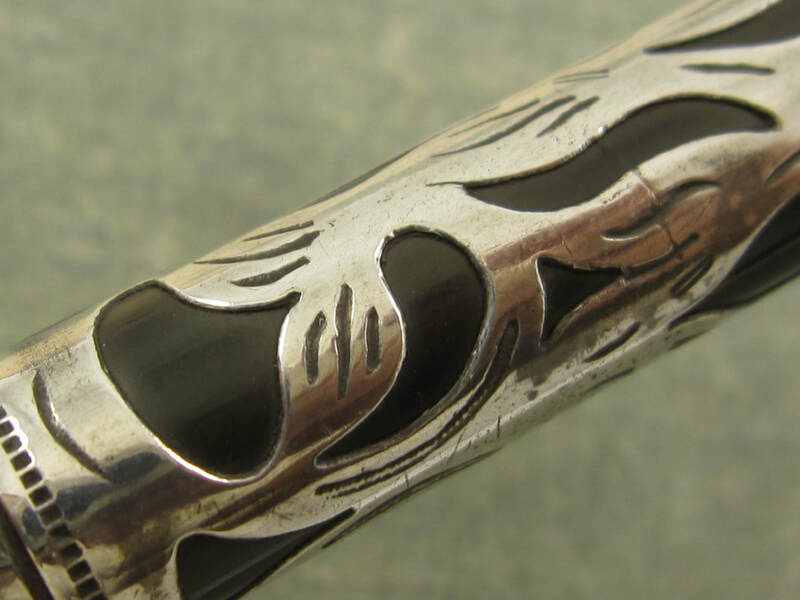 Great imprints on the barrel of the pen. Threads are in awesome condition as well. Eyedropper filler. Serviced. Made in the USA circa 1910. 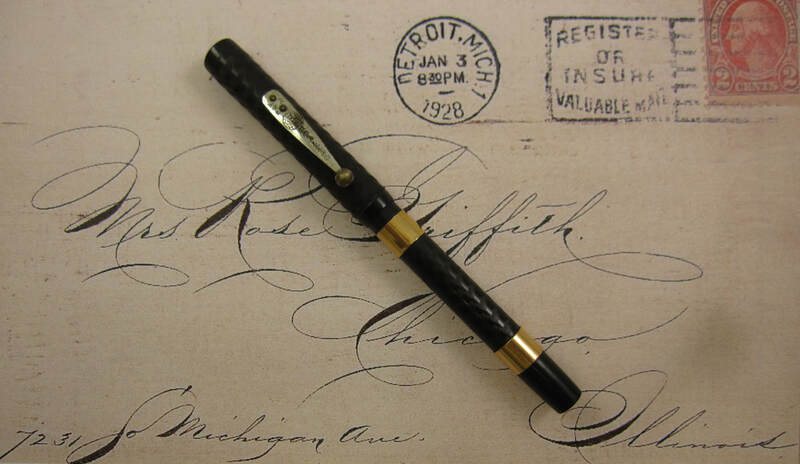 COMMENTS: Waterman 14 eyedropper pen in black chased hard rubber, nickel clip, and two wide gold bands on the barrel. Screw-on section and slip-on cap. 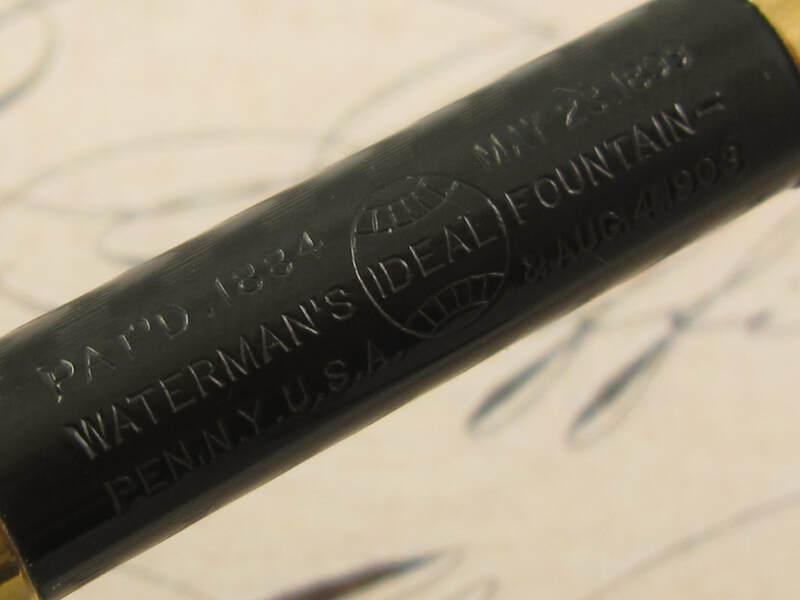 Fitted with a Waterman Ideal #4 New York superflex Double Broad Stub nib. 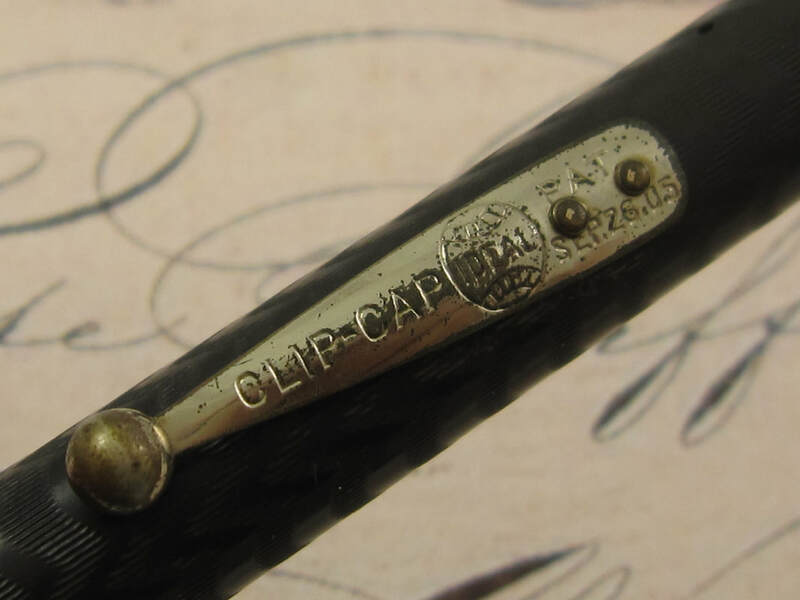 When not flexed, this nib produces double broad lines in the down strokes and fine lines in the side strokes. 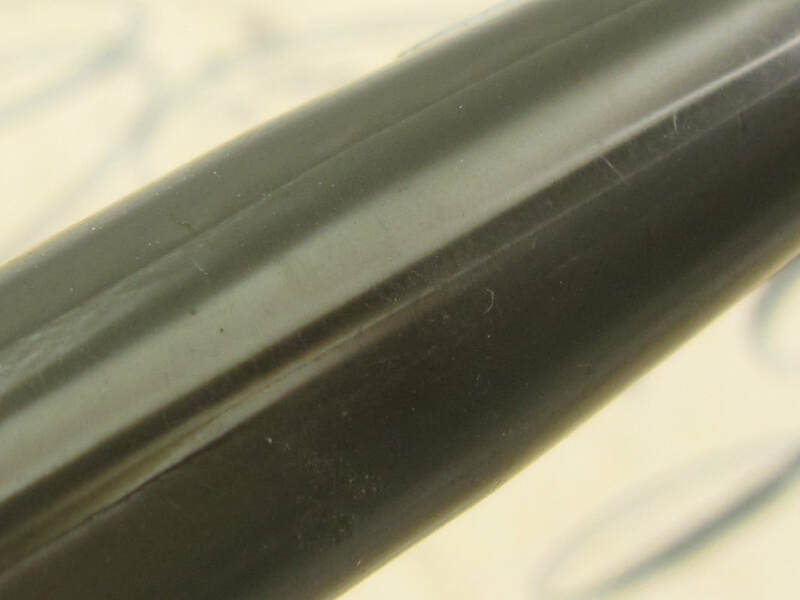 When flexed, this nib produces BBB lines in the down strokes and fine lines in the side strokes. Professionally adjusted nib, ultra smooth, and capable of writing at any speed when not flexed. 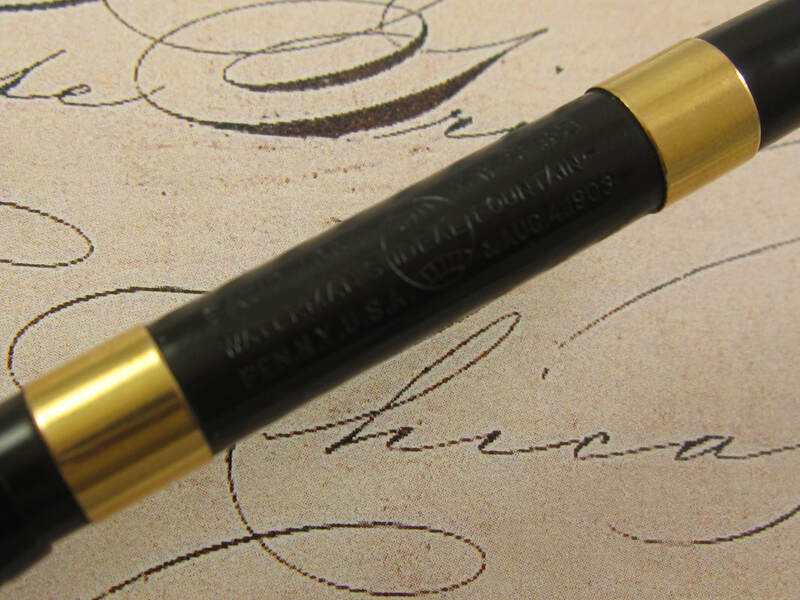 The chasing and exterior of the pen are in fantastic condition and with lots of black color luster. Perfect and crisp barrel imprints. Clip is slightly crooked and it has some tarnishing. 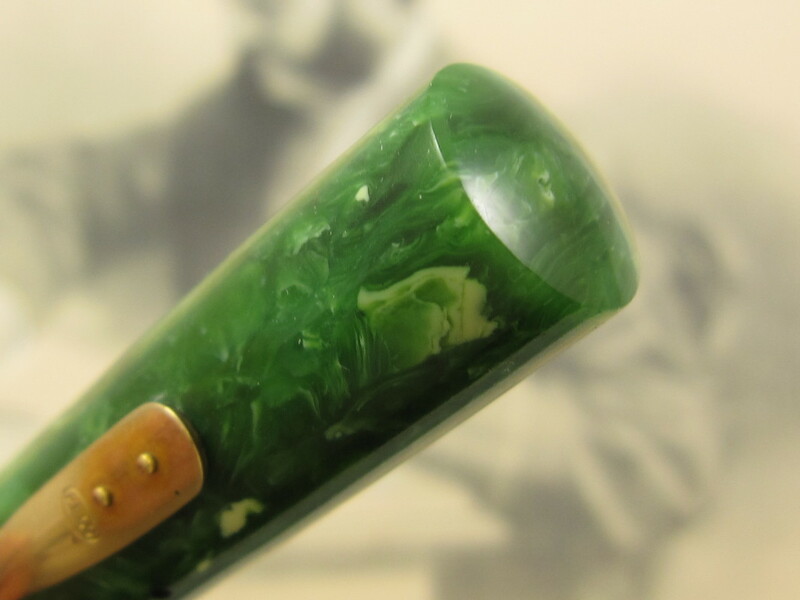 Otherwise, this pen would be graded in "Excellent" condition. Eyedropper filler. Serviced. Made in USA circa 1910. OVERSIZED PEN & NIB !!! COMMENTS: Waterman Emblem Pen in black and gold trim. Wide gold band on the cap. Very similar to the Hundred Year Pen model. 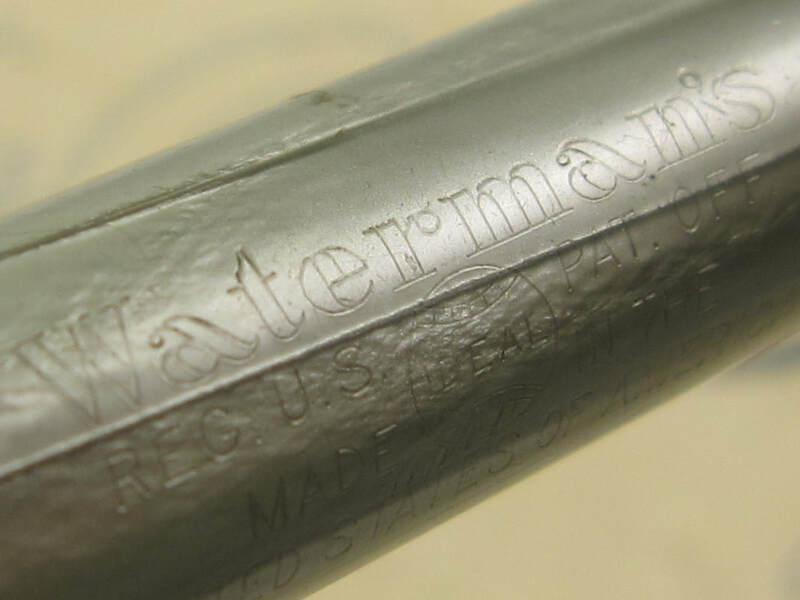 Fitted with a huge 14k Waterman Emblem superflex nib that writes a fine to double broad line. Professionally adjusted nib, ultra smooth, capable of very thin lines, and also capable of writing at any speed when not flexed. 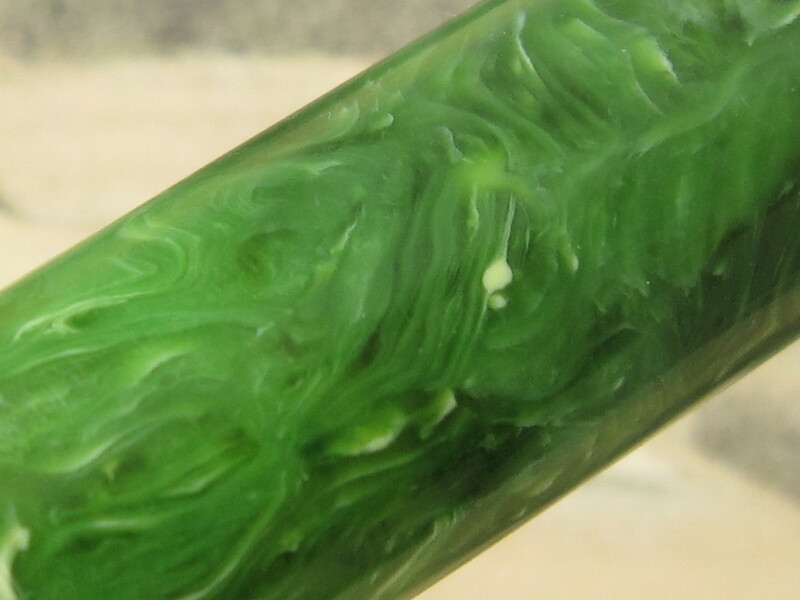 The exterior of this pen and is color is very clean and with lots of black luster. Great barrel imprints. Light tarnishing on the lever. 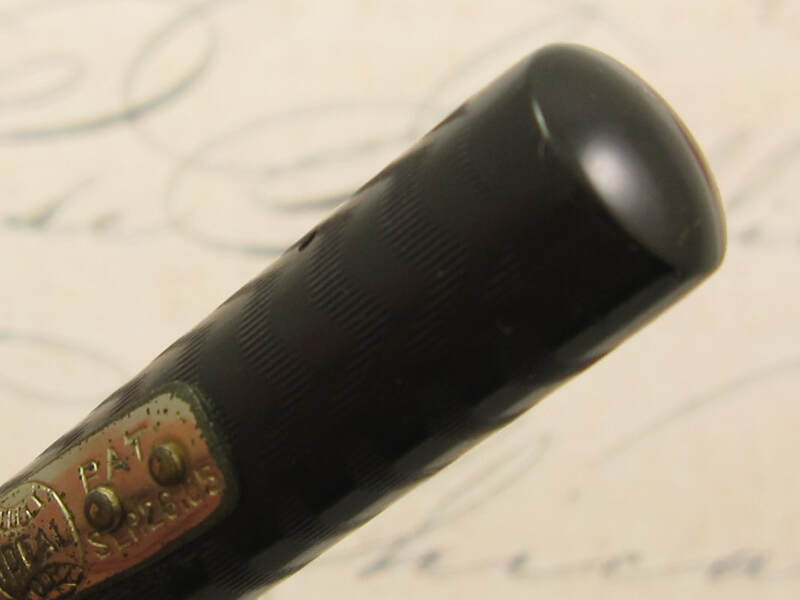 Otherwise, this is a very clean oversized vintage fountain pen with a magnificent flexible nib. Lever filler. Serviced. Made in USA in the 1940s. COMMENTS: Waterman Medalist in black and gold trim. Wide gold band on the cap. 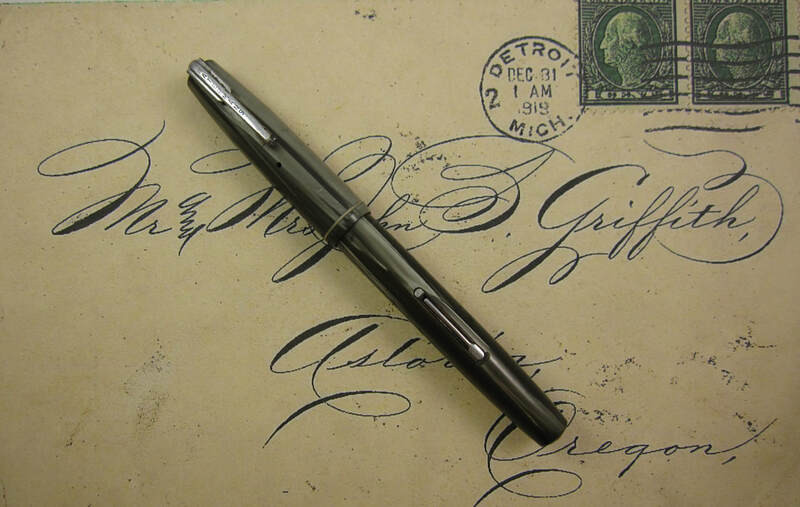 Fitted with a fairly large 14K Waterman Ideal wet noodle nib that writes a fine to double broad line. Professionally adjusted nib, very responsive, and also capable of writing at any speed when not flexed. In my responsiveness scale from zero to 10, this nib is graded at 8. Slim and long tines. 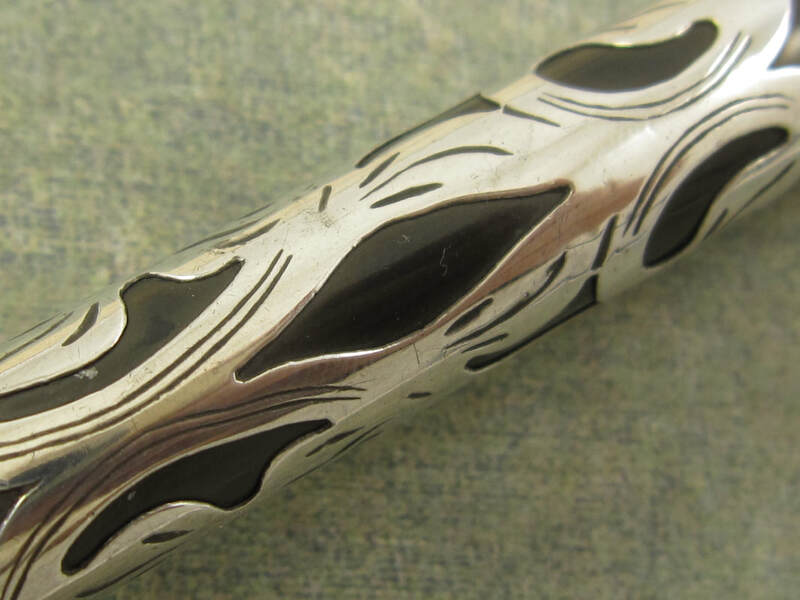 All of these attributes make this a more valuable and desirable nib. Very clean exterior color with lots of black luster. Great barrel imprints. Gold trim has some tarnish throughout the pen. Otherwise, it would be an extremely clean pen. Lever filler. New sac. Made in USA in the 1940s. COMMENTS: Waterman 502 fountain pen in Jet Black and gold trim. Slim band on the cap. Full sized pen. 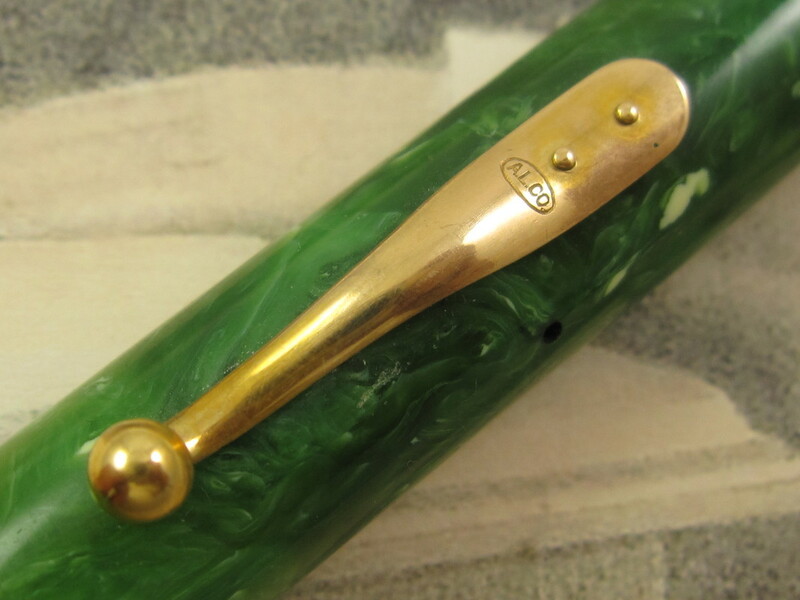 Fitted with a 14K Waterman Ideal 3-tined Music nib. 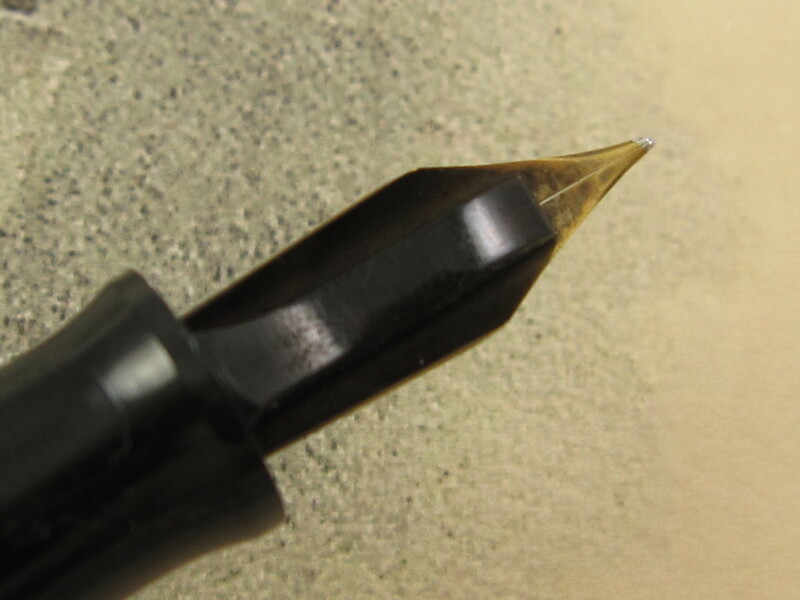 This is a wet noodle nib that when not flexed, it writes the equivalent of a double broad line in the down strokes and fine lines in the side strokes. When flexed, it writes the equivalent of a triple/quadruple broad lines in the down strokes and fine lines in the side strokes. Professionally adjusted nib. Ultra smooth and capable of writing at any speed when not flexed. The three tines are nicely aligned. 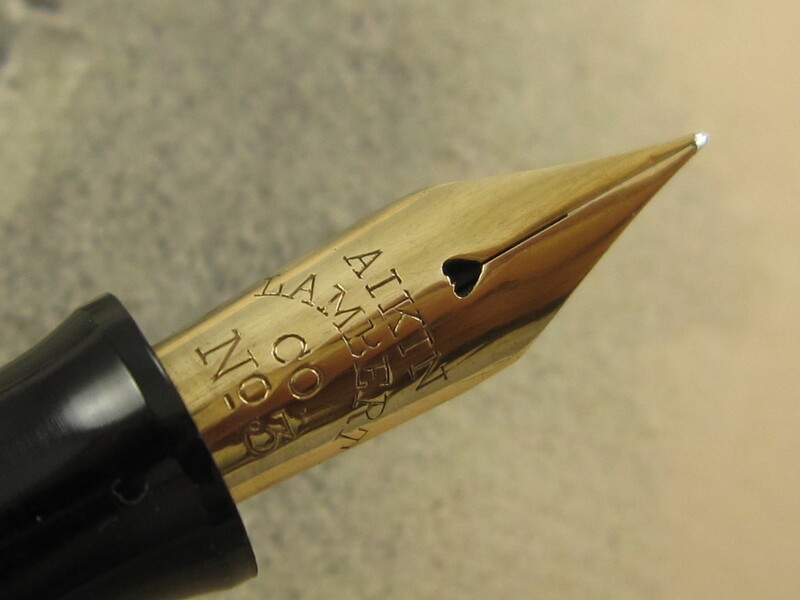 This nib has also been professionally installed to ensure ideal ink flow and performance flex writing. The set up installation of a music nib is an advanced one as these nibs are true ink guzzlers. Intentionally set up as a wet writer. 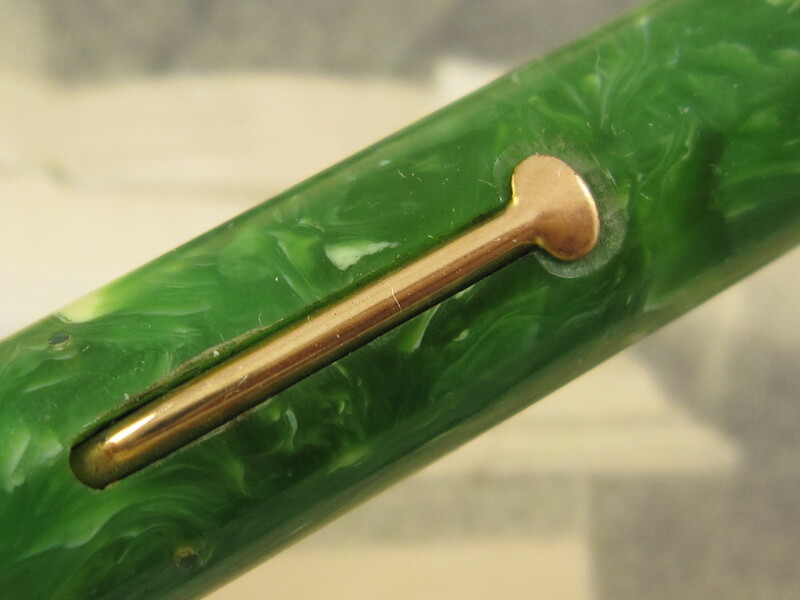 Very clean sample of a pen made in the 1940s. Nice exterior colors, perfect barrel imprints. 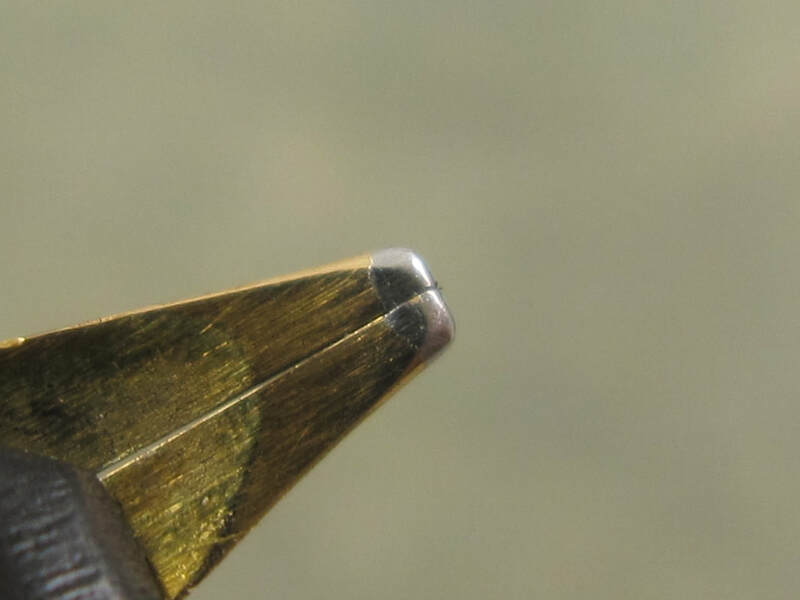 Gold trim is very clean as well, only showing a small area in the upper end of the clip with minor gold plating loss. Lever filler. New sac. Made in USA in the 1940s.